Creating a neural connection is well understood. It is the pillar of learning, you just need to learn something correctly the first time. Brilliant. Problem solved. Of course that often is not the case. You don’t always learn things correctly the first time. Instead you create neural connections to things that are not the best answer. When you find the best answer your brain then gets mixed signals, literally, and has to make a choice about what answer to believe. Current research implies it is based on a voting system with the neural signals with the greatest number of connections winning. So of course you now need to get the correct answer to be the one with the greatest number of connections. The problem is that you will always have that niggling feeling that another answer exists and may be right. This is not helpful and gets in your way when you really need the answer. The dream would be to remove the connections to the incorrect answer. Then you just spring clean your connections every so often and have this perfect working mind. Of course that is cloud cuckoo land at the moment because no one knows how to do that. Every aspect of a human I have learnt about teaches me that once the body has learnt something it never forgets it or the ability to use it. Amazing but true. That did not stop me having a quick check and I thought I’d share the results with you. It is just a cursory google not an in depth exploration. I am just trying to stir debate and see if anyone out there knows a little about this. The good news I found is that Axon pruning also known as synaptic pruning does exist and is exactly what I am looking for. The bad news is that this is only relevant for humans growing up. It doesn’t happen in grown ups. So I looked a little further into the lifecycle of neurons and found diffferentiation. Excellent but still not the answer. My thoughts are that this would be a component of sleep, probably REM sleep. The reorganising part of the process where the brain gets finely tuned. The challenge I want to solve is how to fix bad habits, removing or “forgetting” previous neural connections seems crucial in really dealing with them. Otherwise you spend the rest of your life focusing very hard on making your brain choose the good habit over the bad. If the bad were effectively forgotten then you would not have to work so hard. Since the brain never actually seems to forget I am not expecting to delete a connection entirely. Instead reduce its importance progressively until its pretty much forgotten. One angle I think might be useful is degradation of the myelin sheath. The thicker the myelin sheath the better the signal between the neurons. It makes sense that the brain would be able to reduce the thickness of the myelin sheath but I haven’t heard any evidence for that. The same goes for the number of connections to any particular neuron or axon (I forget if it is axons or neurons that are the centre I think it is actually axons that get all the connections). 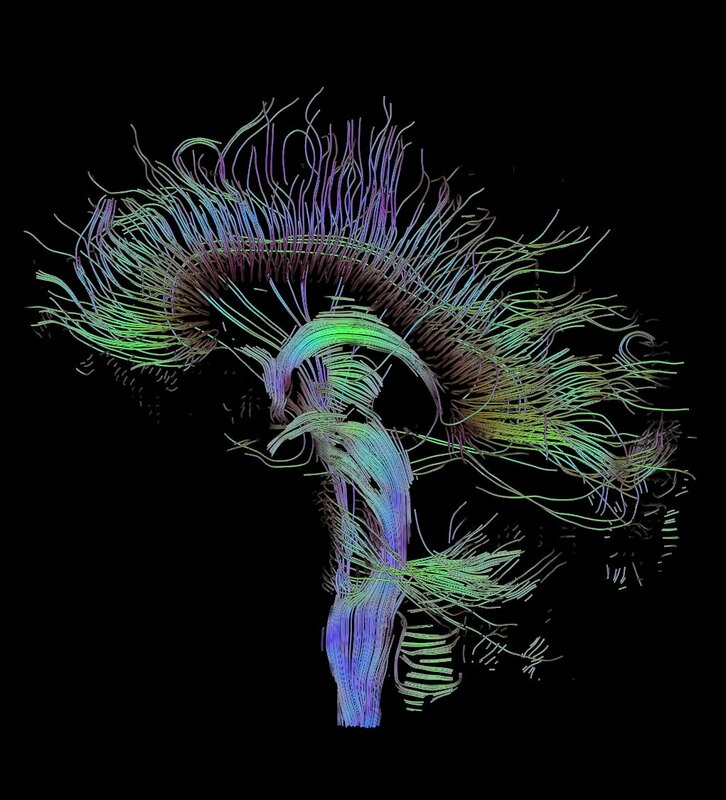 This is what gets each neural connection its vote, the connection to an axon. It makes sense that any axon can only support a certain number of connections or at least can only really listen to a certain number. So finding a way to either remove the connection or reduce its strength and importance would be key. Those are my thoughts so far. These are the areas I would look for first and why I think it could be possible. If any one out there has any insights that would be fantastic. Please get in contact. We all have our own fears and reasons behind them. The trouble is when your fears get in the way of living your life. Many people in my life have taught me how to conquer my fears and I’m very grateful to them. The fear has not always gone away, it just stops being the boss of me and I get more out of life as a result. This tale is simply about learning more about yourself and from others who inspire you. The common aspect of each lesson is about life being too short, that fear can get in the way of enjoying life for no good reason. The fear is not helpful so you shouldn’t let it rule you. One of my proudest moments is conquering my fear of heights and roller coasters. I don’t like heights. I never have, and still don’t but they don’t phase me like they used to. My fear of rollercoasters was much bigger. I grew up petrified of them. Even the small kids rides would scare me. The speed and seemingly uncontrolled nature really scared me. So imagine my pride many years later when I completed a life long dream. I completed a stunt flight!!! I flew upside down, loop the loop, stall turns and even flew the plane. All without a cover on the cockpit. It was open topped and I literally touched a cloud!!!. I know… I still can not believe it. At the same time I was super excited yet completely calm. How did I manage this? you ask. It wasn’t luck but something I learnt. I learnt not to think about it. Distraction is my key to conquering fear. I literally didn’t let myself think about the flight until we arrived at the aerodrome. Even then, I focused on the good not the bad. I knew that fear and excitement are the same thing physically but are opposites mentally because we perceive them differently. Physically adrenalin floods your system, your heart races and you become super alert. Mentally it’s about perception which is your interpretation of what is happening. Fear is a negative interpretation and excitement is positive. So you can feel either emotion in the same situation depending on how you perceive it. Ultimately both the physical and mental experience add up to the emotional experience. From that point on I did two things before scary situations. I minimised the nerves before and during scary things like roller coaster rides and this stunt flight and I learnt to think happy thoughts . The result by the time of the stunt flight was that I had no nerves at all before or during the flight so I felt the takeoff, climb and stunts as they are, really gentle and controlled things and I redirected negative thoughts in to positive ones. I realised things like, the plane is checked daily for faults while my car is checked once a year and subsequently the drive to the flight was more dangerous than the flight itself. I did not fear the drive in the car or the speed and bumps I felt during the drive so why fear the speed and bumps during the flight in the plane. That put things in to perspective and let me create a memory for a lifetime. Since I began my challenge to conquer my fear I have learnt to love all sorts of things I would previously have avoided and would have missed out on and regretted. 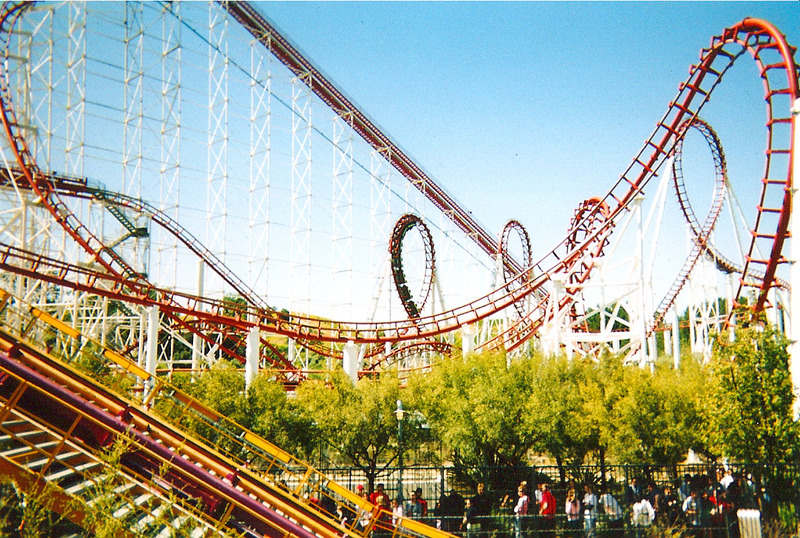 Things like riding the multiple loop Dragon Khan at Port Aventura and being driven at 140mph around a rally course at break neck speed within inches of disaster and loving everyone minute. Now, instead of being ruled by fear I’m now free and I live my life creating more great memories than I used to. 🙂 Thanks for listening. I hope my tale helps you like the tales from others helped me. If it did let me know in a comment below. An important part of of this blog is about my journey of self discovery. Figuring out who I am and then how to fit my life around me so it is fun and flexible not a limiting straight jacket. One thing I have discovered is that I am addicted to food. I don’t know many people who like food as much as I do. As a simple example I can remember visiting an all you can eat restaurant where I ate all I was given, finished all the left overs and still left hungry, starving in fact. The problem is that I don’t see any help out there for people like me. How to be healthy and happy while managing a food addiction. All the advice is to give up or limit food. Always to avoid the stuff you love and basically stop having fun through food. I’ve tried it and found it doesn’t work. At least not for me. I can keep it up for a few months but in the end I just lose the will to do it and go back to my old ways. In essence it is unsustainable. In fact all addiction management approaches seem to require boring you into submission. And here is the kicker. The phrase they use to describe avoiding food includes food. Not stuff I want to avoid like Brussels sprouts, I might add but stuff that makes me salivate and think of food. 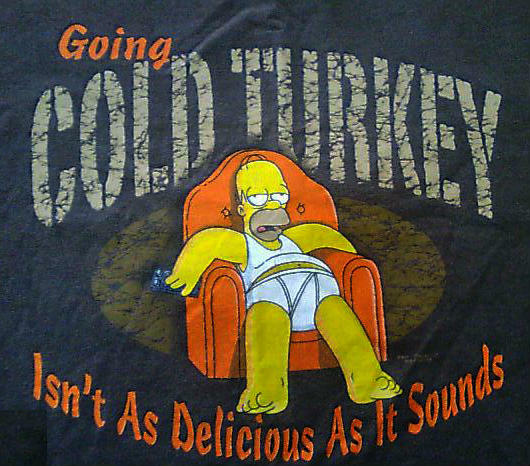 They named it ‘cold turkey’. How unhelpful is that!!! 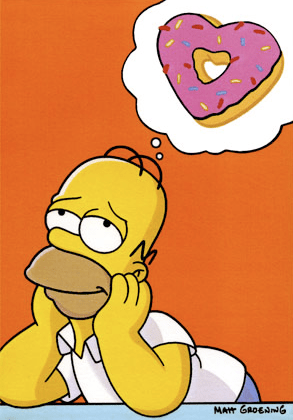 How can a food addict avoid stuff if the addictive food is in the title itself? Then there is the biggest problem, completely avoiding the stuff you are addicted to. That’s fine for smoking and alcohol. You do not need them to live. Sure, you will go through a very nasty withdrawal period but it will be worth it. However the current treatment for addiction is abstinence and they happily apply it to food. Hmm. Seriously!!! Am I the only one that has noticed that food addiction is very different. Traditional approaches cannot work. You must eat to live you can’t just abstain. 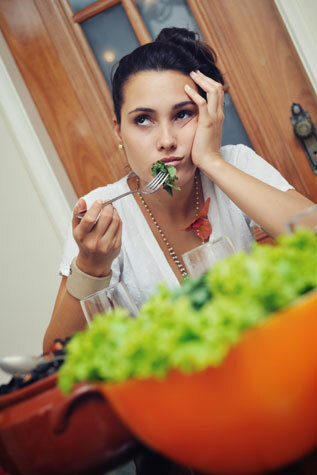 The Withdrawal process from food is not a natural healthy process that will leave you in better shape. No. It is a process you should avoid because your body freaks out and prepares for potential starvation. That is never a good situation and is harmful. But, as you all know, that’s precisely what is recommended. Detox and avoidance. At least this is how most people interpret the healthy message regardless whether it is presented that way or not. They treat it as addiction and follow the recommended approach for general addiction. Ignoring the specific needs of food addicts. By focusing on food quantity, how much you eat and how often, they ignore food quality, what it does for you and what it is like to eat. I do not think the focus on quantity over quality works. Particularly for food. You do need to reduce quantity, there is no doubt about that, but I think there are better ways. That is why I have my blog. Sharing my journey through food addiction. My choice is to learn to love this side of me, discover how to tame it and become healthy through being happy. To me that means indulging my addiction. Learning how to keep it happy. I believe that you crave what you can not have and that it takes a lot of energy to fight or cover up cravings. In the end they often win anyway. So my approach is to deal with my cravings when they are small. Indulge myself regularly and create a lifestyle where the next indulgence is never far away. It seems crazy but it works for me and my personality. It is easier to stick to a lifestyle that makes me happy because I am less happy when I veer from it. That is the opposite of the traditional abstinence approach where I am not happy. I find that for my heart/tastebuds abstinence makes the heart grow fonder of banned foods and it is hard to stay on track. How will this approach work? Quality over quantity. The rules have not changed. You still need to eat less and eat the right things. What I am doing is directing my energy on improving the quality of my food. Focusing on noticeable improvements in taste and texture. Learning how to combine foods for the best result. By focusing on taste, texture and experience I then find it easier to eat less. Not every time mind you but in general. I find it much easier to leave some of what I am eating or even order a smaller portion. By focusing on quality I am happy to reduce quantity. This works for a lot of reasons but mainly because I’m really craving an experience, a treat. Since I know the next treat isn’t far away it’s much easier to have a nibble then stop. It’s not a perfect solution but I am definitely happier this way and it is working. It is pretty easy to be honest because I keep finding new foods and combinations to keep things interesting and sustainable. Nothing is off the menu I just have lots of ways to enjoy the fun in life and keep my balance at the same time. I never ban anything but might not have it for a while because there are so many other things to enjoy. By bringing taste to the fore I find I don’t want to over eat because it ruins the experience. I’m not fighting my hunger because I’m full and not fighting my need for an experience cos I’ve had it. So I can leave it there with no guilt. No regrets. Exercise has an impact on your health within minutes. That is the insight I take from a New York Times piece explaining how exercise changes fat and muscle cells.It is in interesting piece exploring the extra detail we are now gaining about just how exercise affects muscle and fat cells. Of course that mostly means extra detail about something we already know about. What is so important to me is to make it clear that exercise does much more than just burn calories. In fact it actually changes how we work and how our bodies take care of themselves. This article sheds new light on just how these changes come about and the effect they have. You are what your ancestors ate? or are you? Could it be possible that what your parents or grandparents ate could affect your health now? That’s the question posed by You are what your mother and father (and grandmothers and grandfathers) ate a timely article on Marks Daily Apple. An excellent question and one which new evidence and theories are implying could actually be true. What your parents ate really could affect you now and so could the experiences they went through when they ate. I’m still forming my own opinion about epigenetics and its effects. I certainly believe in the concept but as in any field there is wide room for interpretation. Marks article is a case in point. I’m sharing it simply because it’s part of my research journey and I feel the concepts raised within it are central to Cell Your Sole. The main concept being that fully realising your own health depends on first fully realising who you are and the context in which you live. That process is a life long quest. The article begins with Epigenetics. For those who haven’t already heard of Epigenetics it is a fast growing field of biology. The esteemed Denis Noble explains the concept very well in a seminal speech Physiology and Evolution. The basic concept explained around 26 minutes into the video, is that DNA and Genes are not the sole element defining a human or any species. The cell, initially the egg, in which is resides is equally important. Mark explores some of the possibilities Epigenetics research opens up. I would note that the article presents these ideas in quite a deterministic tone. Implying that the circumstances affecting your parents or grandparents or the habits they had will determine your behaviour and prospects. You will eat or act a certain way. While I certainly think inheritance like this can have a profound impact on you I don’t think it’s the whole story. Wider evidence shows there is much more at work. For example people who migrate from areas of low heart disease to areas of high heart disease generally start showing the same high incidence of heart disease to he place they moved to not from. What matters is how much they adopt their new culture and lifestyle. In Marks example there seems no consideration of this wider context in which people live. The social and psychological circumstances for example. That is a book in itself. The point is about listening to different views. Considering the simple concept that to understand ourselves properly we may benefit by understanding our recent family history. At the same time exploring the growing evidence that we are influenced by factors far beyond what science initially thought possible. Many of us believed this anyway. The difference is that now we can talk more openly about it and consider the effects and implications. Maybe understand ourselves that little bit better. This article, like my others, is about sharing opinions and evidence to generate discussion. What you take for fact is up to you. So let us hear your opinion. Add a comment below. Sleep. In my view it’s under rated. I think it’s one of the most important things we do. We obsess on the quality of our food and finances. Few of us obsess on the quality of our sleep. When I studied Bio Psychology I was introduced to the basics we know about sleep. It was fascinating. Particularly the complex processes involved to restore our bodies to optimum health. A new study implies that while exercise is commonly prescribed for insomniacs it takes about four months to kick in. Part of me is surprised the other part is not. Mainly for the reasons covered in the article. I don’t generally have trouble sleeping but sometimes I do. Apparently most of the research on exercise and sleep has been on people who sleep just fine. So, like me, exercise has a near immediate effect. I’ve gone through periods of activity and periods of laziness so many times that the pattern is very clear. It follows exactly what I learnt in bio psychology. 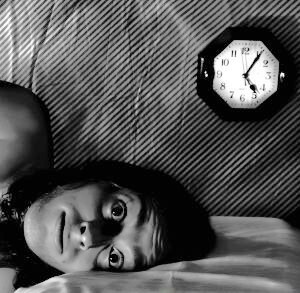 About 5 hours into sleep your brain has pretty much recovered. No matter what pressure it’s been under it doesn’t take so long to be ready again. The body on the other hand is different. Depending on how much restoration is required the amount of sleep can vary. Sometimes 8 or 9 hours is required. That’s a big difference. The reasons why can get very complex, involving human growth hormone and mechanisms of healing etc. The point here is that this is how sleep normally works. Of course, if it gets disrupted the story can be very different. For now we won’t go into what happens. Suffice to say the brain may not get completely restored let alone the body, obviously leading to problems and injuries. Instead we’ll consider briefly why it gets disrupted. The main reason I find is that you get stimulated some how. Anything from caffeine to adrenaline is going to stop or limit your sleep. Caffeine is obvious but Adrenaline!!! how? I hear you ask!!! I’m just thinking of those times you don’t get to sleep on time. Either you stayed up late or something kept you up. A sudden thought or often a worry. Have you ever noticed your heart rate go up a few beats during those times. That’s a sign you have triggered adrenaline and fight or flight. When this happens to me I know I’m in for a long night. I can’t get to sleep for love nor money. No matter how active I have been during the day. In my view the importance of this process on your overall health is not generally appreciated. Stress, particularly worry or even being excited all the time leads to bad sleep. Bad sleep for long periods means poor recovery. This is obvious. The problem is that poor sleep reduces your motivation to exercise and makes exercise feel harder when you do it. This reflects the patients common complaints that in the short term exercise didn’t seem to help and it was getting harder the less sleep people had. My guess at why it takes a while for exercise to help is that without exercise your body gets lazy in fixing itself. All sorts of bodily processes do not work as they should. This in itself will disrupt the most important process of restoration which is sleep itself. By exercising regularly you get your body back in the swing of fixing itself but there will be a backlog of work to do. The size of the backlog will probably reflect how long it takes for your body to start sleeping normally again and the insomnia subsides. That is my theory anyway. 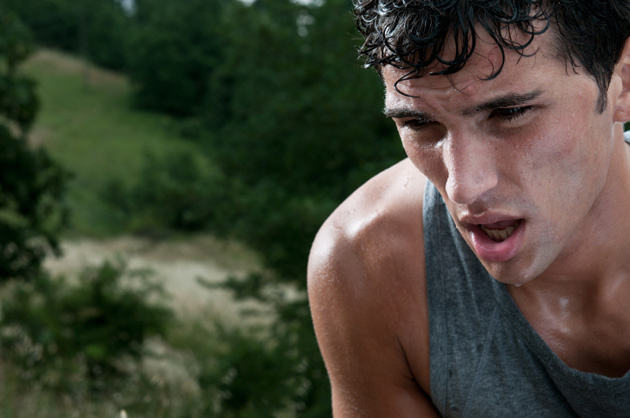 Overall the study shows that people with sleep disturbances have to be persistent with exercise. What I like about the research is that it fits exactly what I see with myself and with others. It explains a little why people with insomnia aren’t instantly helped by exercise but that in the end they will be. Unfortunately it was just one study. We know that more proof is needed so you decide what you think. Post a comment and let me know your thoughts. Pushing ourselves too far. Do we cause irreparable harm? A common cause of irreparable cell damage seems to be when it’s pushed too far. When a cell is pushed a little beyond it’s limits it grows stronger when allowed to recover. Yet push them really far beyond their limits and there seems a threshold above which many cells sustain damage they can’t fix. I thought of an explanation. Essentially it’s about protecting the cells DNA. As the cells blue print, DNA represents its only record of how to fix itself. If this is damaged the cell has no hope of repair. Each cell has ways to protect its DNA from damage but these cost the cell energy so the strength of the defences has to be balanced against the perceived need for them. Essentially the body is always adjusting to fit the current requirements at a cellular level. So when a cell is pushed a little beyond its limits the chance of irreparable damage to the cells DNA is limited. Yet when it’s pushed far beyond its limits. Damage to the DNA is almost inevitable. If the activity itself doesn’t cause damage it like the act of sun light hitting cell DNA then the cell contents may be affected such that they cause damage. Like the indirect DNA damage mentioned in my article on Melanoma. The lack of protection for the cell DNA leaves the cell vulnerable to viruses and other organisms that may take over the cell by injecting their DNA into the cell DNA. At best the cell doesn’t work as well. At worst the cell becomes an aggressive cancer. As usual this is my theory. I’ll see if it bears out. It does imply that it’s dangerous to push our cells too far and that building up our tolerance to things is always important. I have a feeling that this can also explain the development of allergies in some way. It seems natural to think that the ageing process may be accelerated by the kind of DNA damage I’ve just talked about. So training the cells of our body to protect their DNA could in fact slow down the ageing process. Atleast, that’s the theory. Pushing ourselves too far. Do we do irreparable harm? first appeared on my original blog. Cell Your Sole is my new focus for health posts so I’m re posting relevant articles here. Structural and functional features of central nervous system lymphatic vessels The central nervous system has a lymphatic drainage system linking the CNS with the immune system. Explaining how poor functioning of the immune system or these lymphatic vessels will therefore cause problems. cycling to extremes: Are endurance athletes hurting their hearts by repeatedly pushing beyond what is normal? a common tale among once incredibly fit athletes is early heart problems in later life, possibly from the way they treated their bodies when they were young. Can you train your skin to resist sun damage? Just had an urge to understand Melanoma the most dangerous form of skin cancer. Not sure why just seemed like a good idea. Partly because I’ve been wondering what new developments there are in our knowledge and what trends are associated with this kind of cancer. I’m glad I checked it out. Turns out that it’s intermittent exposure to the sun that’s the worst problem. This is reflected in most cases occurring in men on their backs and women on their legs. This fits in with what I’ve picked up over the years. Damage from the sun is something we’ve been exposed to for millenia so it’s only natural to assume that we have in built defences to it. The strength of this defence, in my opinion, is likely to be down to how much we train it through exposure. What I mean is that people who work outside every day will be well prepared for the summer heat by their exposure during the spring. I assume the damage is relevated to the amount of protection you already have and so exposure during the spring when the sun isn’t directly over head will build up some resistance and have a training effect on the skin. Every so often a day of prolonged sunshine will come along and many spend a long time in it. Those who already have some protection are just less likely to go over the threshold at which damage occurs. I believe it’s effectively as simple as that. Otherwise you’d expect people with bald heads to have the highest rates of melanoma because no matter what direction you walk the top of your head is always exposed to the sun, assuming you don’t wear a hat. Since this isn’t the case it suggests, though it doesn’t prove , that a training effect may occur. I just wanted to mention this idea of a training effect and state the reasons I think it may exist because I think it could be a very useful way to limit the danger from this kind of cancer and from the sun itself in a natural way. It also implies that regular activity outside, exposing the parts of your skin you would normally expose, for me it’s head, neck and forearms, is the best way to combat skin cancer yet it also help fight osteoporosis, diabetes and coronary heart disease all at the same time. So there’s a lot to gain if it’s got some truth in it. Go ahead, soak up some sun the benefits of getting vitamin D from sun exposure can outweigh the risks of Skin cancer. Of the 30 leading causes of deaths in the United States in 2010, 19 were linked to low vitamin D status. Can you train your skin to resist Melanoma first appeared on my original blog. Cell Your Sole is my new focus for health posts so I’m re posting relevant articles here. I feel it’s worth making a note that our ability to recover from what we are put through may affect both our mortality and how we feel right now and will feel in the future. I’m not going to go into depth right now but I want to log this idea of an overarching theme. 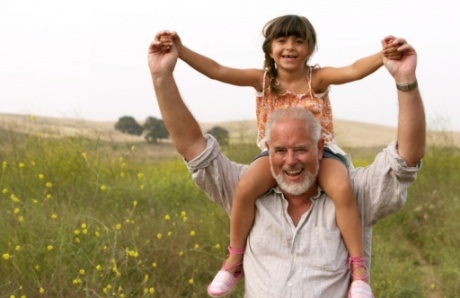 The idea that those people who age well may simply be following lifestyles that allow proper recovery. Those that live to a good age may do so because their lifestyles promote resistance to diseases, the best resistance is a lifestyle that allows sufficient recovery from the rigours of each day. This view is very much coming as a summation of all I have learn recently and previous knowledge. The newer idea that cancer and heart disease could have some relation to diseases, the knowledge that busy lifestyles with little rest and relaxation make it difficult for the body to fight diseases. Also new products with chemical compositions where the effects on humans are unknown to a high degree have become more common place. I also feel that humans, along with most species are used to this kind of abuse by ourselves and from the environment. It’s something we’ve all evolved to deal with, otherwise we wouldn’t be here. Therefore our bodies already have mechanisms to deal with many of these problems. What we need to do is ensure we do all we came to help these recovery processes do a good job. That means learning about them, understanding what they need and making sure they get it. I also feel that our bodies have developed to make this as simple as they can. Half of it is just to know our own limits. I intend to return to this post in time to update it. For now this is a simple start. 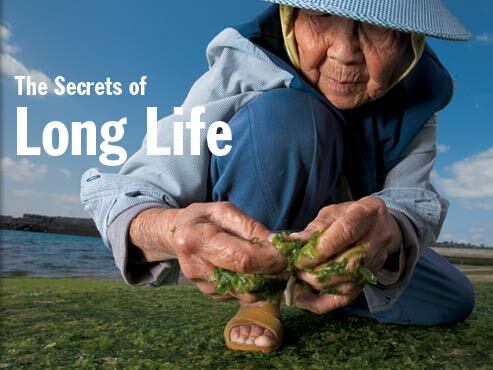 Does recovery determine longevity? first appeared on my original blog. Cell Your Sole is my new focus for health posts so I’m re posting relevant articles here. I bet you think the debate about cholesterol and its damaging effect on health is settled. Interestingly it isn’t. It’s actually really interesting to hear the other side of the story, that cholesterol may not be as bad as it’s made out to be. In fact it may simply be a scapegoat in a much greater debate. I’ve learnt a lot about cholesterol. 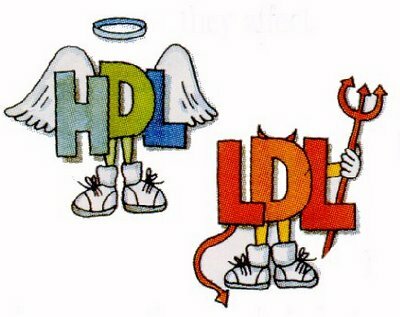 I’ve learnt that there are many kinds Chylomicrons, VLDLs, LDLS and HDLs , not just the famous two HDLs and LDLs. They transport fats around the body, that’s a big part of their role. My understanding is that they’re actually mainly the same except they have different amounts of fat on them. Wikipedia gives a pretty damn in depth overview of them but my basic understanding is as your diet begins to have more fat in it you will have more ldls and less hdls than you used to have because ldls have more fat on them compared to hdls. It’s just hdls becoming ldls. So naturally as your diet increases in fat intake or if you eat too many calories and your body converts these calories into fat, then you’ll have more ldls. That’s all I really take from these correlations. The problem I feel is more down to your whole lifestyle rather than just eating too much, having too high cholesterol or any one factor. It’s lots of factors together. For example many people who eat too much often don’t exercise enough to compensate. 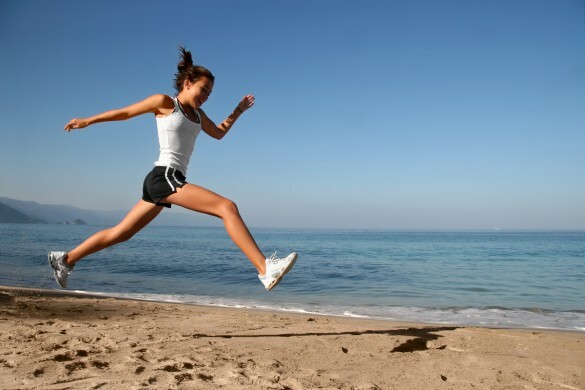 Saying that lack of exercise itself can lead to significant health problems. A different view on cholesterol first appeared on my original blog. Cell Your Sole is my new focus for health posts so I’m re posting relevant articles here.